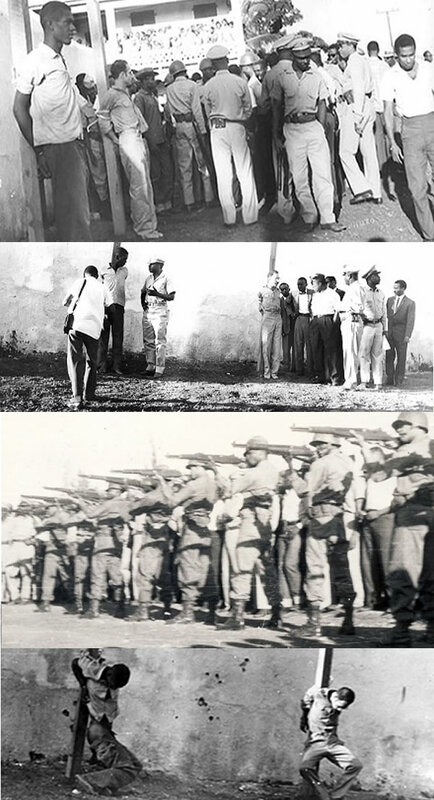 The execution of Rebels Marcel Numa and Louis Drouin by the forces of Francois Duvalier regime. This was an event that probably marked many people who were living in Haiti in 1964. Children were released from school all over the country to come and watch this horrifying act, the execution of Rebel Marcel Numa and Louis Drouin by a firing squade. On November 12, 1964, Francois 'Papa Doc' Duvalier commanded the execution of rebels Louis Drouin and Marcel Numa, the final two members of the ill-fated group which had been campaigning against him. By then, the other resistance members had been killed during combat. That day, offices of the government closed their blinds while students were pulled from schools to witness as the two men were tied to posts made of pine, read their last rites, and shot by firing squad.